The nice and cozy tones of mahogany pair superbly with this small-bodied Orchestra model guitar. 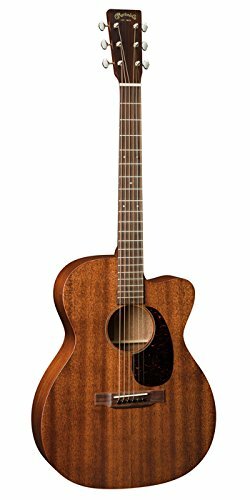 The OMC-15ME is an acoustic-electric cutaway that includes a mahogany best, back and sides and an East Indian rosewood fingerboard and bridge. The fingerboard is enhanced with diamonds and squares position inlays. The graceful modified low oval neck with a Performing Artist taper lets in for greater ease when enjoying up and down the fretboard. The all-new Fishman Matrix VT Strengthen electronics complete this model to provide the tone you fell in love with within the first place.